Are you looking for an Easter Pie Recipe? 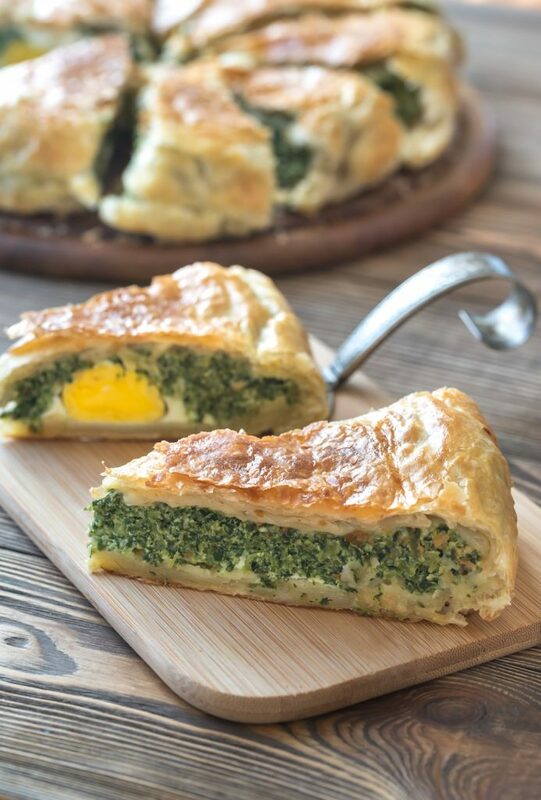 Don’t look further: with this Traditional Italian Easter Pie with Eggs, also called pizza rustica, you’ll surely be so successful everyone will be pleased to be sitting at your dinner table! Traditionally called “Pasqualina cake”, this Easter Pie Recipe is typical of the Liguria Region, North of Italy, and not only it is delicious. It is also extremely symbolic. In fact, according to tradition it should be prepared by layering 33 layers of puff pastry to celebrate the days of life of Jesus; eggs, instead, symbolise rebirth and are a typical Easter symbol present in many typical Italian recipes for the Easter period. The preparation is very simple even if long and the real difference are the ingredients that must be of the highest quality: the original recipe requires that you use prescinseua (Genoese quagliata), a typical kind of cheese from Genova city which is very difficult to find and because of the flavor can be replaced by ricotta cheese. The dough is homemade but if you want to play safe, you may also use some shop bough pizza dough: the result won’t be the same, but it will be quite close. The Italian Easter Pie Recipe that I present to you, is made with fewer layers but the result is truly exceptional: the dough becomes crispy on top and soft underneath, the filling is firmly compacted and the eggs become firm, so that at cut reveal a really pleasant surprise. Try my Traditional Italian Easter Pie with Eggs and bring it to the table on Easter and Easter Monday! If you want, try the casatiello, a typical Easter cake from Naples or the famous Easter Italian Bread. If you want to cook like an Italian, have a look at our selection of Easter Recipes. Close the cake with the last layer of pastry, remove the excess dough and spread with extra virgin olive oil. Bake in a hot oven at 180° C for about 50 minutes. It can be frozen once cooked and cold, cut into slices for greater practicality. To thaw, it should be left in the refrigerator and then heated in the oven at medium-low temperature. You can change the ingredients by using charcuterie (salami, ham, etc) and cheese and simply adding these instead of vegetables.